A week and a half ago, it was Bunco Sunday!!! I love that you have such a big gang of girls that all seem to be able to make the time to come together for some girl time. I moved away from all of my friends and am DESPERATE for some girl time, I guess I really need to venture out and make friends! So FUN and what a lovely group you ladies make!!! So glad you had so much fun...love the idea of some champagne and PJ's...and that pizza looks delish! Love it!!! looks like SO MUCH FUN!!! i wish i had a big group of gals to hang out with! :) all of ya'll are gorgeous!! :) and that first pic of the pizza has me craving some right.now! Looks like a great time! I have never played Bunco but always hear how fun it is! So fun!! You ladies are gorgeous! And SUCH a cute dog! I can't wait to hear about the fun themes. A group of us are starting a bunco night and would love to have some ideas starting off! YUM, that pizza looks good! This looks like so much fun!! I definitely think I'm in need of starting a group of friends out here to...Love the theme! yall are too cute! I think this would be my favorite theme party...pj's? yes please! First of all, that pizza looks amazing! Second of all, I seriously want to move to your town just so I can be a bunco girl! It always looks like such a blast! How FUN!! Everytime I see you post about bunco...I want to join a bunco club before I finish reading a post :) Honestly, looks like such a blast! oh my gosh all that food looks sooo good!! i want that pizza right now! That is sooo cute! And it looks sooooo good too. I need a night like that in my pj's with good food, drinks and friends. Time to get on it! Ive seen you post about Bunco girls before but im a lil confused as to what that means?!? Either way looks like fun! Everything looks delicious and what a fun theme! Mmmm...all that food looks delish! What a fun evening with friends! How fun!! 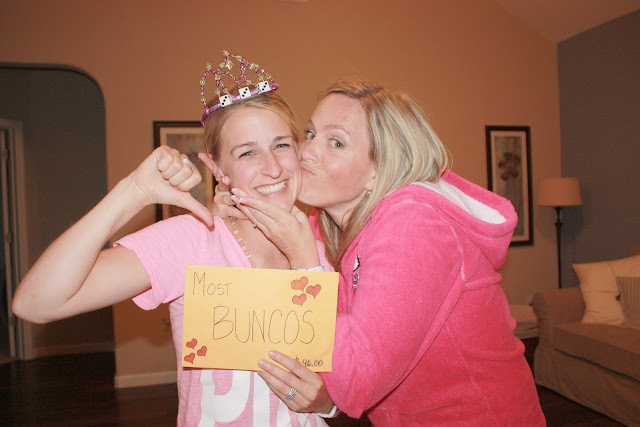 And I love your bunco crown!! What a great Bunco theme! 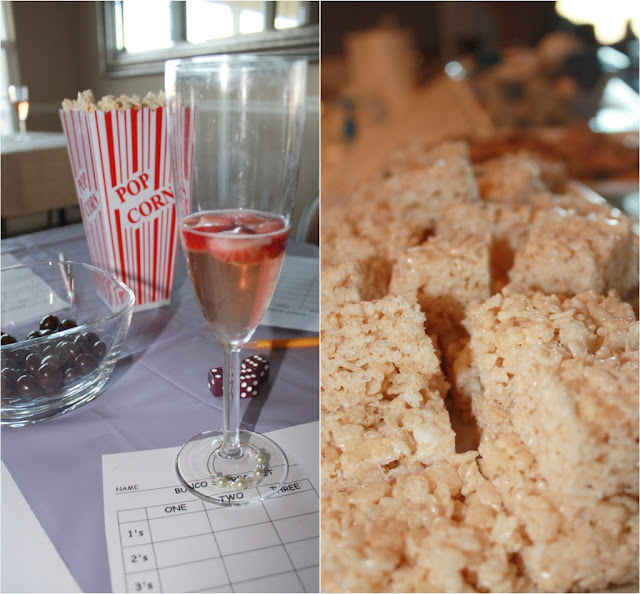 Our Bunco group starts up soon and I can't wait! a bunco sleepover??? 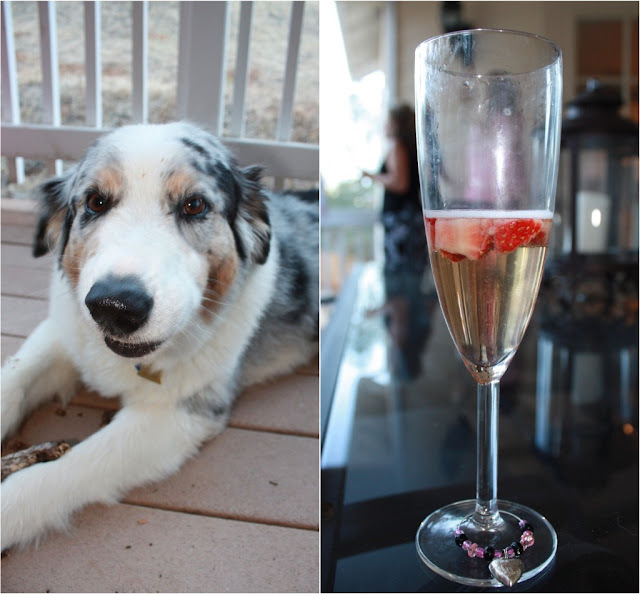 OMG too much fun...such a great idea and loving all that yummy food!! how fun!! that food looks so yummy!! You all have such fun themes! Ahh, this looks like sooo much fun!! those cookies look delish!! The best theme yet!! Who wouldn't love a slumber party theme?!?! And the food? YUM YUM YUM!! I really want to get a bunco group started! This looks like SO much fun!